My ultimate question once we landed on the island, “Are there monkeys on the beach?” Ask ten Bajans and you’ll probably get ten different answers. And so started my most recent trip to Barbados – land of the monkeys, lush tropical gardens, some of the finest houses in the Caribbean and quite possibly the nicest people I’ve ever met! Barbados has a large selection of big houses on expansive grounds with gardens that just boggle the mind. What makes Barbados stand out from all the other islands is the staff in the villas. The staff is what makes you go back to a certain villa. A great staff changes the entire experience. From the first house we saw until the last, we were met each and every time by either the entire staff or a member of the staff. It is just such a wonderful way to be introduced to a house and you certainly get a sense of what the guests must experience! Not to mention the cold towels (and in one house small smoked salmon tea sandwiches – with cucumber on the side) which were given to us upon entering. 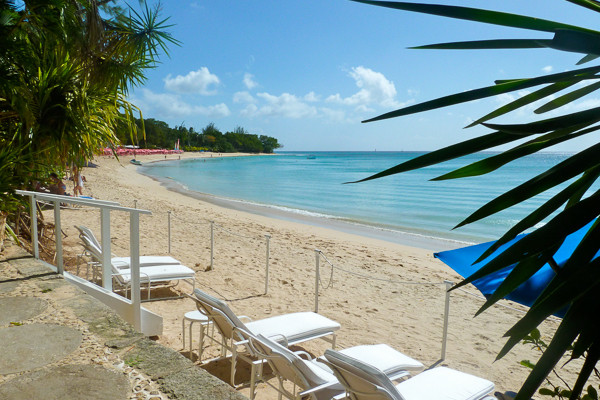 We saw a broad range of villas in Barbados from beachside condos to expansive garden estates. Villa AA STA - Stanford House is a 5 bedroom villa on Polo Ridge. This house is a gracious house with an expansive outdoor area (can accommodate a large group for a wedding or special occasion). Wonderfully tranquil and lushly planted gardens surround the house, and how can you go wrong with amenities such as an outdoor dining gazebo, large covered wet bar, and Jacuzzi. Villa RL GIN - Ginger Lily was possibly the stand-out of the trip…one of the loveliest houses on Barbados! Just 10 minutes from the beach, this impressive villa is not only beautifully decorated but has an infinity pool surrounded by a garden. Absolutely a perfect villa for a group of adults; it’s fabulous! Lunch at the villas is never short and sweet. The chefs at these villas take great pains to demonstrate their talents of local Bajan cuisine. All these villas have incredible staff that will cook as many meals as you like. Often they set up meals at a different spot each night/morning and that is really special. You get a different experience at each meal even within the same house! For the meals you choose to take outside of the villa, you can go casual or high end. We started our trip with the traditional roti sandwich and ended our visit with a trip to the East Coast….and lunch at Di’s Bar and Restaurant – where of course we met Di, her daughter and granddaughter! Local Bajan food, lovely folk – never to be forgotten! For a gourmet experience, right on the water, we always have a memorable time at The Tides…and this time dining with a local friend, enjoyed what we thought to be the best table in the restaurant. I always feel that Barbados makes me a better person. Everyone is so friendly and welcoming…not to mention polite and genuinely happy to see you. No bad attitudes here – in fact just the opposite – how refreshing. I can’t remember saying please and thank you more often and will always remember the response of “yes please” when asked a question. My final thoughts of this wonderful experience are that it was just as I had hoped – beautiful people, beautiful houses, and beautiful country. Oh – and the recipe for a perfect rum punch you ask? PS! To answer my ultimate question... “are there monkeys on the beach?” Yes! There are monkeys on the beach and many – well not many - Bajans have monkeys as pets. Those who have monkeys as pets often bring them to the beach for a swim!